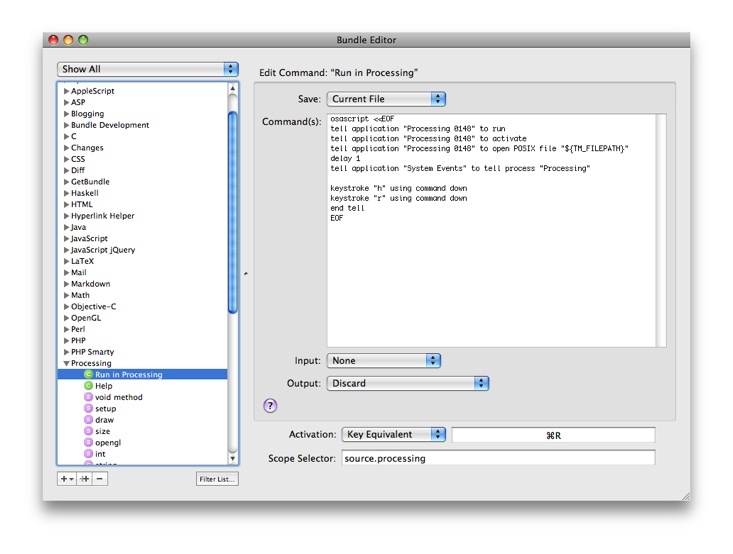 Install the Processing bundle via GetBundle. Get sure to replace Processing 0148 with the build number of your version. 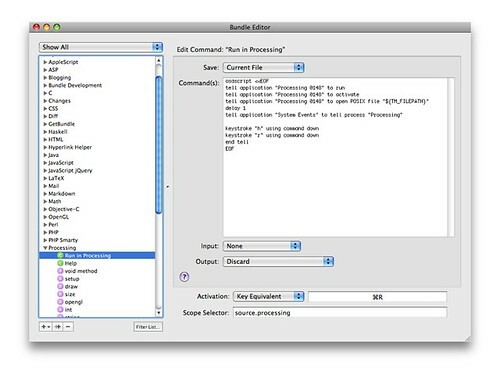 What this piece of code does is actually pretty simple: It tells the Processing application to open the file that’s currently opened in TextMate and invokes the keystrokes Command+H (to hide the processing window) and Command+R (to run your program in Processing). 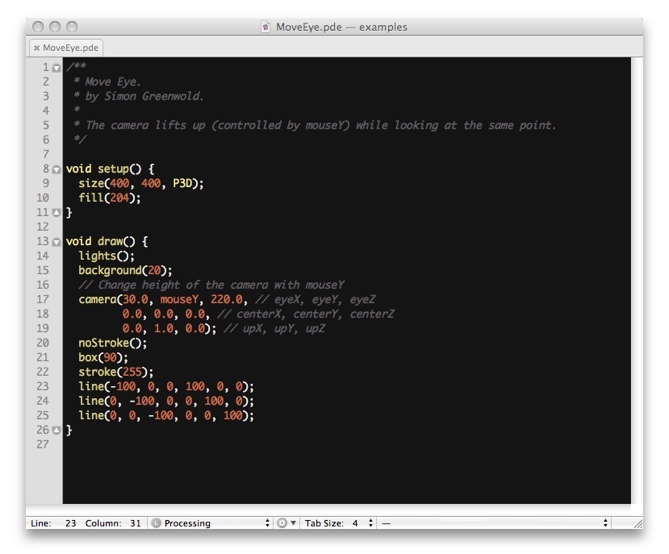 Now, when you hit Command+R, Processing opens and compiles your code. « Exercise 1 – Hello world!